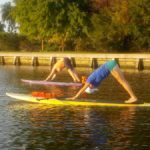 Looking for a fun yoga challenge? 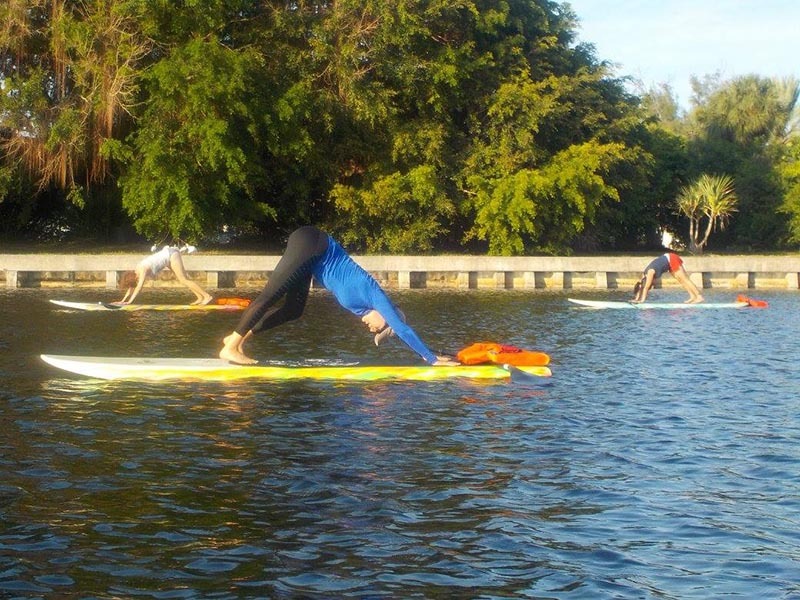 SUP Yoga! 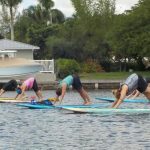 Join Heather Berg of Soul Garden Yoga on the water to practice Stand Up Paddleboard Yoga. 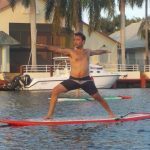 The paddle board takes the place of your mat, but since it’s an unstable foundation it will truly fire up your core! You will NO DOUBT need to work with more consciousness, honing your mindfulness skills. 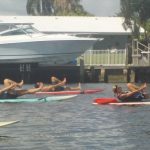 We will start with gentle stretches as we make our way up the intracoastal to a calm and serene bay. Heather will lead invigorating sun salutations and we will play with some balancing (which will probably get you wet!) Shavasana will be blissful and then we SUP to land. The whole adventure will be an hour and half. You do not need to bring a yoga mat with you. Bottle of water is recommended. Pricing: $25 to rent a board, $15 if you have your own board. Venmo or PayPal are preferred to pre-pay to hold your spot. Unless the class is cancelled by Heather due to weather, please let us know 24 hours in advance if your plans have changed. Yes, although there are life jackets, it is important to be a proficient swimmer. Wear whatever feels comfortable that you have a good range of motion in. 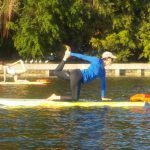 Bathing suit; shorts over bathing suit; swim shirt; boardshorts; hat and sunglasses as long as they fit snugly and will stay on well in a Downdog pose. Bring a towel and change of clothes *IF* you are the daring type to try all sorts of poses that just might get you wet! 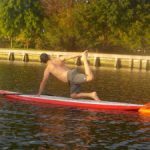 Do I need to be an experienced paddleboarder or yogi to try SUP Yoga? It sounds so hard! Will I fall in? No matter what level you are you can have fun in the water with us. We give you the necessary skills to be able to paddle out to anchor your board. 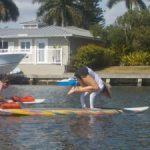 SUP is a fairly easy sport to pick up and although you might feel a little uneasy at first, it only takes a short time on the water to get the hang of it! 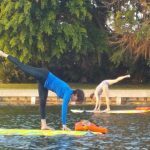 We start out with poses that are more grounding so you can get used to the feeling of doing poses on top of the water. You can push yourself as hard as you want or back off and relax on the board… it isn’t a competition. What levels are taught in the group classes? We teach an all-levels class with modifications tailored to the groups we have. 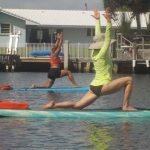 If you are a complete beginner to SUP and/or yoga and feel like you will require a little extra TLC, feel free to schedule a private instruction and we can help you ease in with some basic skills one-on-one. 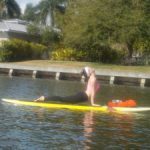 What else should I bring to my SUP Yoga class? Water (that can attach under the bungee chord); sunscreen (we are in South Florida!) and an adventurous attitude!